Planet X Production is proud to announce our new partnership with Odam Fei Mud, including adding two additional plays to the OFM selection. Planet X Productions, Denver’s premier non-profit science fiction, music, and comedy theater company, will be serving up fun deals on collectibles, knickknacks, and hot dogs Saturday May 21st, from 10 AM till 4 PM, outside First Unitarian, 1401 Lafayette, Denver. Come have some fun supporting the arts, and our 2011 season! Rock Fu Theater Double Features! Tickets $10, $8 with costume! feudal Japan in this terrifying tale of tyranny and treachery. Beast doesn’t devour him first! 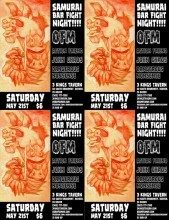 Neo Kabuki Performance Group OFM: Odam Fei Mud Gets Rough And Tumble, Saturday, May 21st! 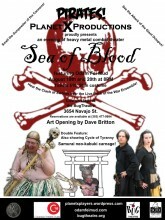 Experience unique performance art, live music, amazing costumes, mixed media, and martial arts in one amazing show. 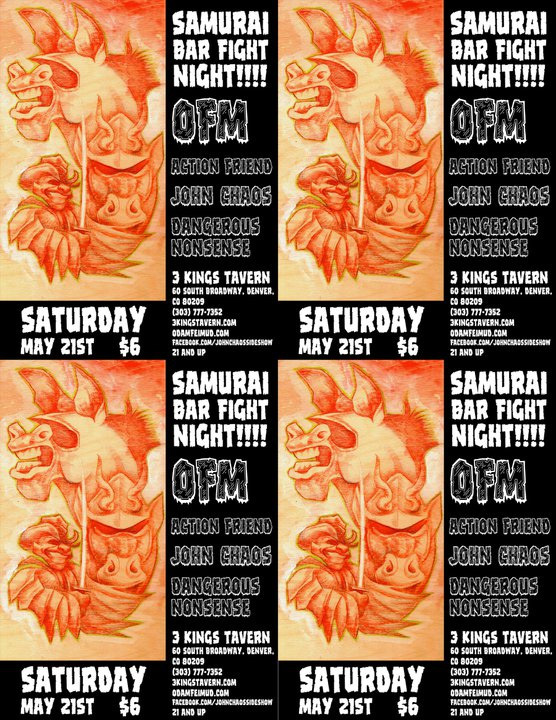 For one night only, Saturday 9pm, May 21st Three Kings Tavern, at 60 South Broadway, Denver, CO 80209, hosts a rough and tumble, bar fight version of OFM, a visual and audio extravaganza touted as one of Denver’s most avant new performances. 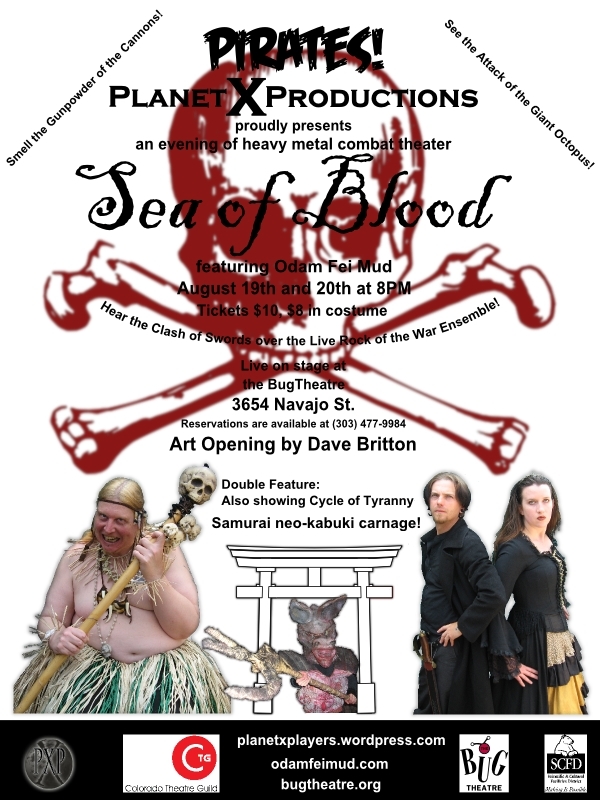 The show will feature the samurai sword fighting, neo-kabuki performance group OdAm fEI mUd, with three new scenes of corruption, new projections, and progressive metal score from the Odam Fei Mud band, the War Ensemble. Crosier explains his vision for the show, “Over the years OFM has evolved in many different approaches and aesthetics in performance, music, and commentary. OFM is heavily influenced by the manga Lone Wolf & Cub, the samurai film Akira Kurosawa’s the Seven Samurai, and the performance metal band GWAR. I wanted to combine these elements in the performance. Taking to the stage is the enigmatic band Action Friend! Sideshow extraordinaire the John Chaos Sideshow! The versatile band Dangerous Nonsense!